Lions are commonly associated with the savannah grasslands of southern and southeastern africa. They live in large prides, hunting herds of antelope and other ungulates of the grasslands. However these expansive grasslands are specific habitats to sub-saharan lions of eastern and southeastern Africa Panthera leo melanochaita. These habitats are the heartlands for lions in the modern world. 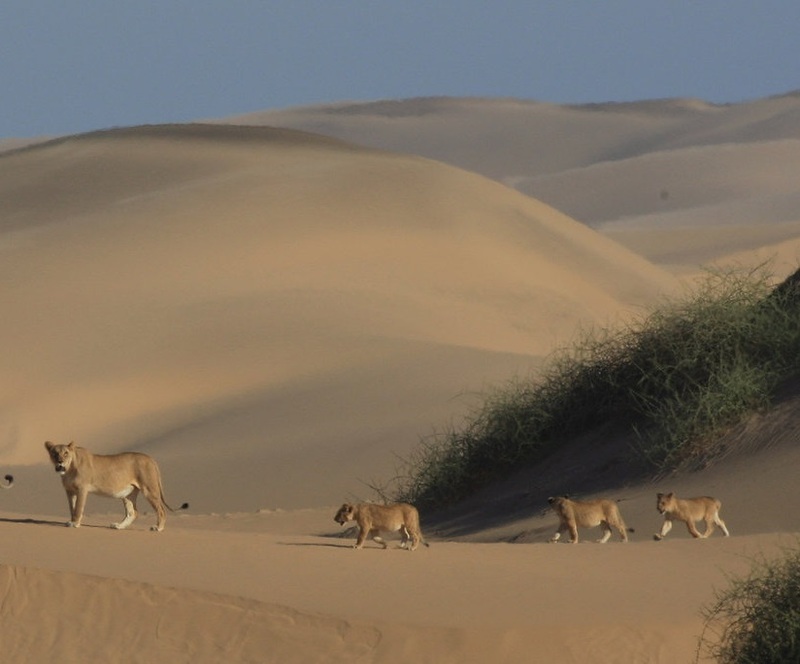 Yet lions also survive in quite doverse habitats, such as the desert dunes of Namibia. For today’s remnant population in India mostly live in the dry forests of the Gir. 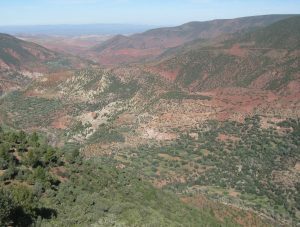 These forests are less productive in dry years with prey numbers falling under challnging conditions. Some lions have chosen to venture beyond the Gor,, across agirculaural land and into new but limited habotats in the coastal forests and dunes of Gujarat. Smaller populations survive in the forests of central and west Africa, in the deserts of southwestern Africa. Northern lions also previously roamed the marshes of the middle east, the mountains of North Africa occasionally up above the snowline, down to the coastal forests of the Mediterranean. Mediterranean cork oak forests would seem to be an unfamiliar habitat for lions. High Atlas plateau, North Africa. The last lions in Morocco were seen at high altitudes in the 1930s and 1940s. This entry was posted in Ecology, P. leo leo on June 20, 2017 by Simon Black.